I'm a huge John Wayne fan, but True Grit has never been when of my favorites, but in the hands of the brilliant Coen Brothers, True Grit has become a new cowboy classic. This is a Western the way they should be made. Kind of the same caliber film as John Ford's "The Searchers" (now that was a great John Wayne movie). Hailee Steinfeld, who plays 14 year old Mattie Ross, just steals this film. Not that Jeff Bridges doesn't make a great Rooster Cogburn, he does, but Hailee as Mattie is just mesmerizing. After the movie was over, I kept waiting to speak using Mattie's style and tone. It's kind of like going down South, before you know it you're saying "Y'all" and "I'm fixin". Great movie to take your hubby/boyfriend to if they are movie resistant. It's got enough story and strong performances for both of you. 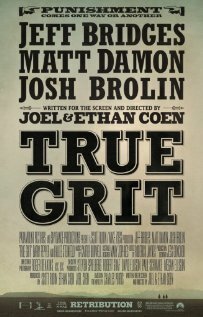 I think it's fair to say that the 2010 version of True Grit is a new cowboy classic, but I'm surprised it got nominated for best picture. I never was one for Westerns but my husbands family have all sorts of inside jokes about characters from the movies. I am a wuss too . I just have nightmares if I watch too many people die before I go to bed. What would we do without you and your great movie reviews! 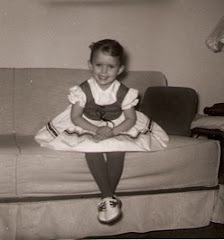 Happy lovely weekend :) We're headed north to the cottage and hopefully some snowshoeing. So you enjoyed the movie? I am not a fan of westerns but I thought this one looked cute and that girl is from a neighboring town so our paper has done some press regarding her and the movie. I recently watched the original one on TV and enjoyed it.